By clicking on the video link below you will be able to view the flag ceremony that was performed at my brother’s funeral. Harlan passed away on March 8, 2016 and was buried at the Lake Poinsett Cemetery located on a hilltop between two beautiful lakes in northeastern South Dakota. Lake Poinsett is the largest natural lake in the state. The lake that can be seen in the background here is Lake Albert. Harlan lays at rest with dozens of other hunters and fisherman who went before him. They reside together there on a hilltop in Paradise, over looking the land and water they loved. Pioneers chose this site for a cemetery in the 1800’s, when the first settlers arrived and started needing burial places. This is one of the highest, rockiest locations, it made very poor farmland. There was plenty of laborers needed to dig graves. Digging graves in rocks and gravel is a very hard thing to do, without having it cave in around you. I thought about putting this flag ceremony on my blog site because many people have never had the privilege to see a flag ceremony being performed for a veteran. During the ceremony I could see Lake Albert down below, what a beautiful location for that cemetery. A place to truly rest in peace, next to his father and grandparents. One great uncle was laid to rest there in 1904. There are many other graves there from the late-1800s, also some from the past year. There were no trees at that cemetery until 1947, a committee decided to plant evergreen trees. ‘Spruce trees’ and Scandinavians seem to go well together. 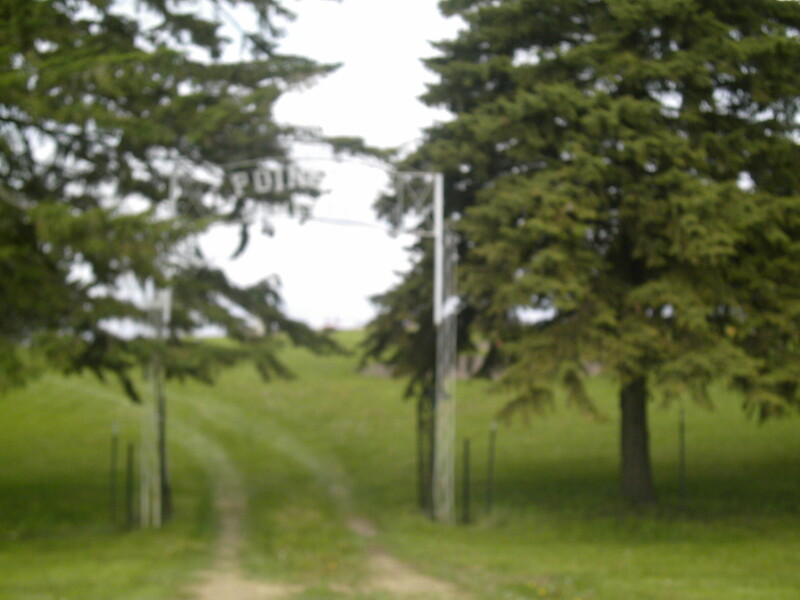 White and Blue Spruce were placed around the perimeter of the cemetery, that was a lot of little evergreen trees. I recall my brother Harlan and I riding along with our grandfather on many occasions, with many cream and milk cans full of water. It was a very dry year, those little evergreen trees had to be watered regularly or they would not survive for very long. Kids are kids, my brother and I made a sport out of jumping over those trees for many years, kind of a contest to see who could jump over the highest tree. Those trees are now about 40 feet tall. More golden memories. Thank you for sharing. I’ve seen the flag ceremony do many times on TV but did not know the symbolism behind it. I’m sorry for your loss. The flag ceremony always makes me cry regardless of who it is for.